explaining how deposits of salt are formed by evaporation of sea water. 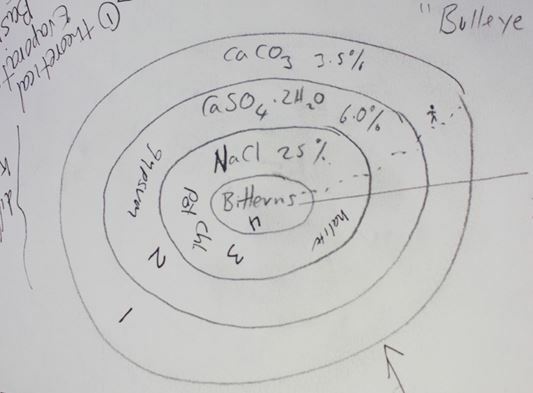 He first used diagrammatic explanations to illustrate cyclic salt layering which is about how water evaporates and in turn salinity increases. The primary concentration of sea water is 3.5 % with the precipitated salt being calcium carbonate (CaCo3). 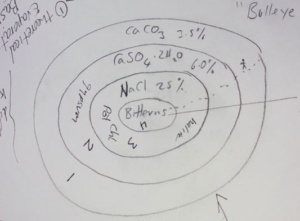 As water keeps evaporating it becomes more salt saturated as gypsum (CaSO4.2H2O) begins precipitating once salinity passes 6%, then sodium chloride (NaCl) being deposited once salinities of 25% are passed. When salinities pass 45% bittern salts start forming many different minerals such potassium chloride (KCL), sodium sulphate (NaSO4..H2O), calcium chloride (CaCl2.6H2O), and magnesium chloride (MgCl2) with salinity up to more than 40%. The physicochemical characteristic of the salt lake is highly dependent on the drainage from its surroundings which is complex and local factors play a great role. Generally, salt lakes are small compared to the ocean and are basic. Dry climate forms a salt lake. Catchment areas are rich in calcium that might have calcium carbonate. When it is low in halite, rich in sodium but low in carbonate you might end up with sodium sulphate. If it is rich in sodium and carbonate it will end up with sodium carbonate (baking soda). Another source of salt is purely cyclic salt from rainfall. The third type of salt comes from a salt lake that is fed by ground water. The water table crops out in the lower part of the depression and most salt lake are someway in combination of all of this, in most cases. When it comes to evaporite deposits on Mars, calcium carbonate is rare but gypsum is common. Other complex minerals (bittern salts) are present such as epsomite (MgSO4.7H2O), hexahydrite (MgSO4.6H2O), Meridianite (MgSO4.11H2O) – the last known only from Mars. Fluid inclusions which are characterised as small amount of fluid or brine are entrapped inside the salt crystals during evaporation event. These fluid inclusions are significant from the astrobiological point of view because they contain minerals. Multiple studies have been conducted that propose that the minerals encased inside fluid inclusions provide the source of energy for halophilic microorganism to survive over prolonged period of time. It is very difficult to detect halite on Mars because of it is transparent in the near infra-red wavelengths usually used to detect minerals from orbit. The other minerals were detected due to short wave length but halite can only be detected with spectroscopy at longer wave lengths which needs special instruments and which is hard to bring to Mars. Usually, absorption is looked for at the near infra-red to thermal infra-red wavelengths on the electromagnetic spectrum. 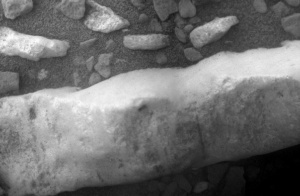 Most minerals are visible in near Infra- red. Halite and Quartz are two prominent examples that cannot be detected near Infra-red and need to be detected in Thermal Infra-red. Now why is gypsum more important for extracting water on Mars than from ice or soil? 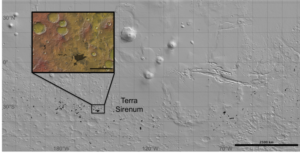 Three comparative studies have been recently conducted on water extraction on Mars. Soil is not a highly efficient resource for water extraction because the amount of energy required to do it is too much. And then ice on Mars is hard as granite as well as the complexity in the process is also a factor that discounts ice as a source of water, although it is better than soil. We know that gypsum is present on the surface of Mars. To extract water from gypsum, it is heated at the temperature as high as 150 degrees centigrade that first gives calcium sulphate and hemi H2O and releases another molecule of water. This reaction further continues when high temperature is applied that gives anhydrite and releases another molecule of water. So gypsum seems to be the most efficient medium to obtain water on Mars. 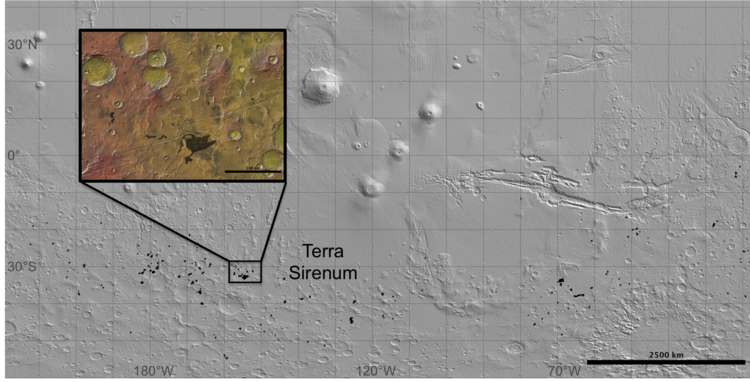 region in Terra Sirenum investigated by Davila et al. (2011). Finally, at MDRS astrobiological exploration of gypsum is important because they present an ideal shelter for microorganisms to survive. The capacity of gypsum to entrap water content facilitates these microhabitats with prevention from desiccation. Gypsum prevents microorganisms from high dose of UV radiation as well as its transparency allows the sunlight to enter into the crystals for photosynthetic organisms to survive. As MDRS is an excellent Martian analogue site and gypsum microbiology at MDRS is still poorly studied, the science objectives of our MARS 160 mission would address this area of astrobiological research and equip us with further knowledge of the possibility of microbial life inside gypsum deposits. Sirenum region of the southern highlands”. Icarus. 212: 579–589.